WINONA LAKE — A Warsaw man was arrested after breaking into a residence and using credit cards fraudulently. Kevin Daniel Gibson, 32, 3699 N. Greenwood Drive, Warsaw, is being charged with burglary, a level 4 felony; fraud, a level 6 felony; and theft, a class A misdemeanor. On May 28, an officer with the Winona Lake Police Department was dispatched to a residence regarding a theft. Upon arrival, the officer met with the male resident. The resident said he was away from his residence during the weekend and found that his residence was broken into when he returned. The resident reported that he was missing two electronic devices. According to the affidavit of probable cause, on June 1, the resident arrived at the police department and said that his mother was missing multiple credit cards and some had been used. One of the cards that was used was a Citibank credit card. On June 4, the officer received a fax from Citibank. The fax said the stolen credit card was used twice on May 28 at Lassus Handy Dandy. The fraudulent charges were in the amount of $60 and $71.21. The officer went to the Lassus Handy Dandy and obtained surveillance footage of the fraudulent transactions. On June 25, the male resident viewed the surveillance footage and identified the individual making the fraudulent transactions as Gibson. On June 29, the officer attempted to speak with Gibson at the Kosciusko County Jail, but Gibson refused to speak to the officer. A warrant for Gibson’s arrest regarding the burglary was issued on Sept. 17. 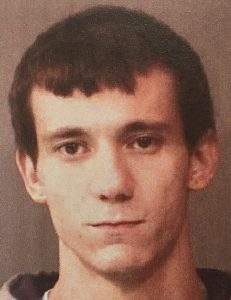 Gibson was booked in the Kosciusko County Jail on Saturday, Nov. 10, with a $21,000 surety and cash bond.